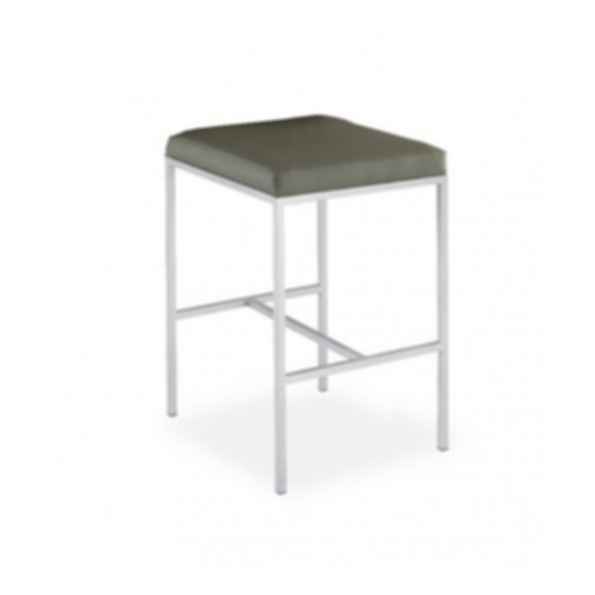 18w x 19.75d x 32h "
Contemporary multipurpose metal counter stool. Upholstered seat and back. Catering to all areas of hospitality including: Hotels, Restaurants, Casinos, Country Clubs, Time Share Properties, Senior Care and Healthcare Facilities. Choose products from our substantial catalog, or let our experienced sales representatives help you to modify a style to suit your needs. Because we offer the broadest selection and highest quality in the industry, it is close to impossible not to find a design that conveys the proper image for your facility. However, we also offer custom-designed products to meet our client's unique design and function requirements, with the capacity to manufacture very large projects with relatively short lead times.